Exit junction 8, initially follow the signs for A120 Hertford, then B1383 for Saffron Walden. As you come into Saffron Walden, Beeches Close is the first turning on the left past the Saffron Walden town sign and the 30mph traffic lights. *Keep right as you turn into Beeches Close and number 24 is 200m up on the right-hand side. 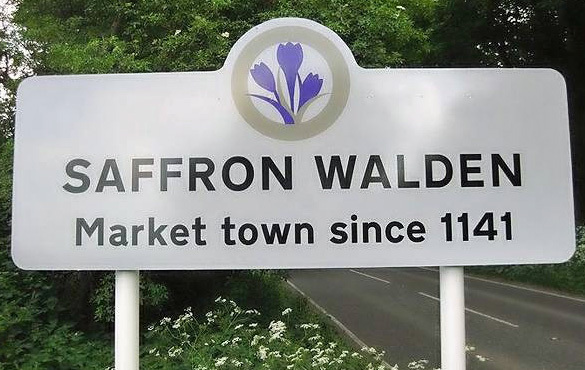 Exit junction 10 and follow the signs to Saffron Walden (A505, A1301, B184). As you enter the town keep on the High Street and drive right through the town centre and out the other side towards Newport/Bishop’s Stortford. Look out for Uttlesford District Council** offices on the right and take the left fork just after. Follow the Newport Road for about 400m and Beeches Close is the last turning on the right as you leave town. Audley End, on the London Liverpool Street/Cambridge line, is the station for Saffron Walden. We are just 2km from Audley End station. Greater Anglia connecting London Liverpool Street with Audley End, Cambridge and into East Anglia. CrossCountry connecting London Stansted Airport with Audley End, Cambridge and via the Midlands to Birmingham. From Audley End Station, bus service 59 or 301 brings you into Saffron Walden where you should alight at Uttlesford District Council Offices and walk from ** above. Bus service 590 takes you to the Beeches Close turning (ask for Adams Court). Alight and follow instructions from * above. Visit Trainline for comprehensive train and coach information, along with booking facilities — locally, around the UK, and across 44 countries in Europe. There is a busy taxi rank at Audley End station, or taxis can be pre-booked on 07913 403761. London Stansted Airport is just 18km from Saffron Walden and runs daily scheduled flights to and from a wide choice of domestic and European destinations. Stansted Airport connects to Saffron Walden by both bus and train (see above).